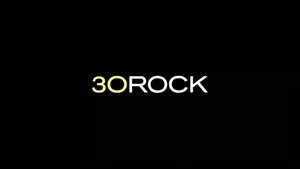 Quick Thoughts: 30 ROCK, "Leap Day"
I'm sure there were plenty of people out there who appreciated "Leap Day" for the satirical farce that it was, but I for one didn't really get its appeal. Sure, the idea of the show creating an entire holiday around leap day had some promise, but when it was clear that the bit was only going to take cliches from other holidays and twist them around, the gag lost steam. Although, I did like Jim Carrey spoofing his own movies and The Santa Clause. Plus, I'm not sure what the point of any of the stories were. I guess Jack realizing that he should spend more time with his daughter was satisfying, but why should I care about Liz's indecent proposal or Tracy trying to spend a crazy amount of money at Benihana? Maybe if I watch again, I'll figure out what was so special about it, but that sounds like too much of a chore. At least I didn't hate it.